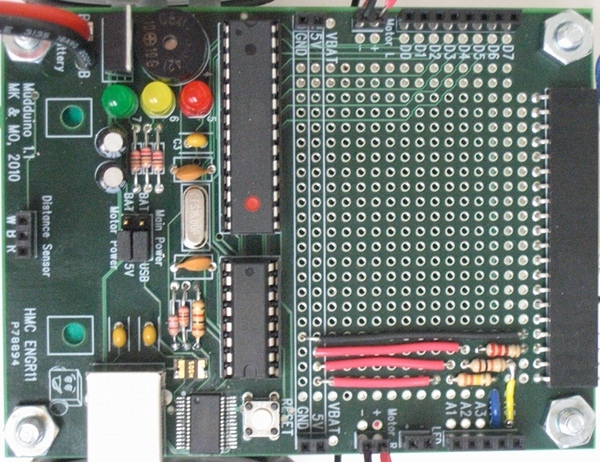 The Mudduino is a platform useful for robotics, rapid prototyping, and hardware develoment. It is based on the popular Arduino platform, and was developed at Harvey Mudd College during the summer of 2010 by myself and Madeleine Ong, with guidance from Professors Harris and Lape. The board was designed as part of a larger summer project to design Autonomous Vehicles, a freshman engineering elective.